Definition at line 843 of file extypes.h. Definition at line 845 of file extypes.h. Definition at line 851 of file extypes.h. Definition at line 846 of file extypes.h. Referenced by PerfDataRefresh(), and QSI_DEF(). Definition at line 849 of file extypes.h. Definition at line 498 of file winternl.h. Definition at line 852 of file extypes.h. Definition at line 847 of file extypes.h. 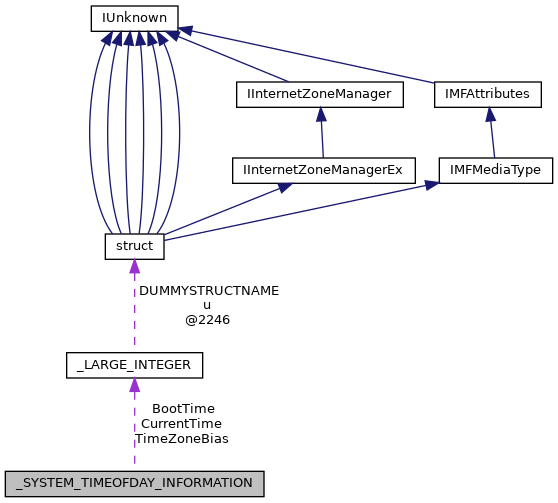 Referenced by QSI_DEF(), RtlLocalTimeToSystemTime(), and RtlSystemTimeToLocalTime(). Definition at line 848 of file extypes.h.